With all the hype these days on how to generate leads and convert them into sales, it’s easy to lose the focus on the most viable prospects of all: your existing customers. And yet research from Marketing Metrics shows that you’re 60% to 70% likely to make a sale to a current customer, compared with having between 5% and 20% chance of making a sale to a new client. This minimizes your workload, improves your ROI and supports your brand identity and reputation in the industry. The key to retaining your good customers is to treat them well. No real surprise there, but you might be surprised to learn that price is not usually a major factor in a client’s decision to jump ship. Multiple surveys have proved that the quality of customer service is the main reason for customer churn and that customers are 4 times more likely to leave because of a service-related issue than a product or price one. Encouraging your sales team to source orders from existing customers as well as new ones by paying commissions on upselling and cross-selling. So often, companies pay sales incentives based solely on new customer intake, and existing customers are relegated to the operations team to manage. While your ops team might be great at delivering your product or service, chances are good it doesn’t have the customer liaison skills of your sales people. Professional client relationship management goes a long way towards keeping channels of communication open between your company and the clients. With the automated systems available these days, it’s a simple matter to set up regular communications and trigger special events. 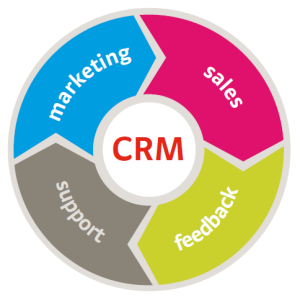 The real benefit of CRM, however, is the data it delivers. Data can help you to identify your most profitable customer segments, which helps you to target the right clients for specific product lines. It highlights the customer’s needs and preferences and gives you a number of ways to stay in contact with your clients – and them with you – through the use of web portals, social media, and online self-service options. More importantly, data can help you to identify the reasons for client attrition by analyzing their activities directly before cancelation. Depending on the product or service you provide, your customer might only be interested in buying it once or twice in his life. It’s easy to say once a client buys a stove, he’ll never need another in the next 20 years. That’s where upselling and cross-selling come into play because a client who is happy with your product and service may well consider buying his next refrigerator from you, too. And then there’s the whole accessory market, which is worth a substantial amount in secondary sales for the appliance retailer. Encourage your existing customers to buy more by actively looking for complementary products and services that will bring you a good return for a little effort. Offer “additional” services such as free delivery, loyalty programs, pre-scheduled deliveries and automatic payments. Send out seasonal reminders to show you are ready to do business with them. Spend the same amount of time and value on retaining current clients as you do on finding new ones, and make it part of your business strategy and your team’s purpose to do so regularly.